The office of Dr. Matt Holley in Prattville, AL is dedicated to providing its patients with comprehensive care. Focused on the latest in dental technology, their services include digital x-rays, laser technology, one visit crowns (Cerec) and even in-house implant dentistry from start to finish. 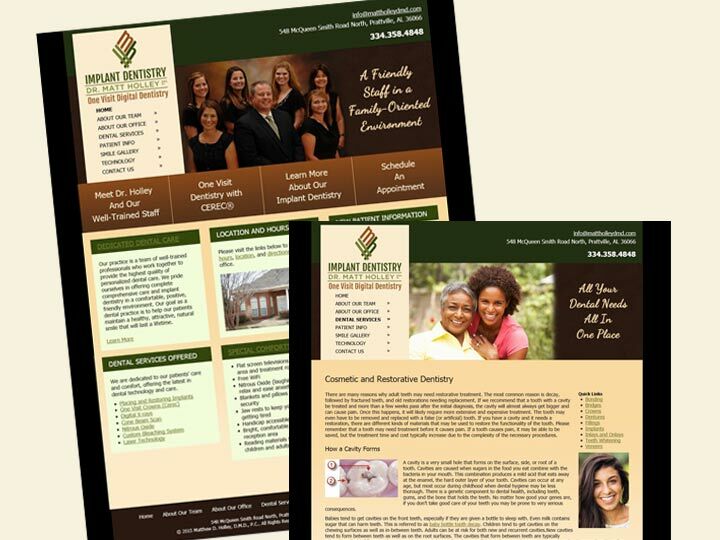 Looking to rebrand the practice, Dr. Holley wanted a new look and feel that matched their modern, state-of-the-art practice. 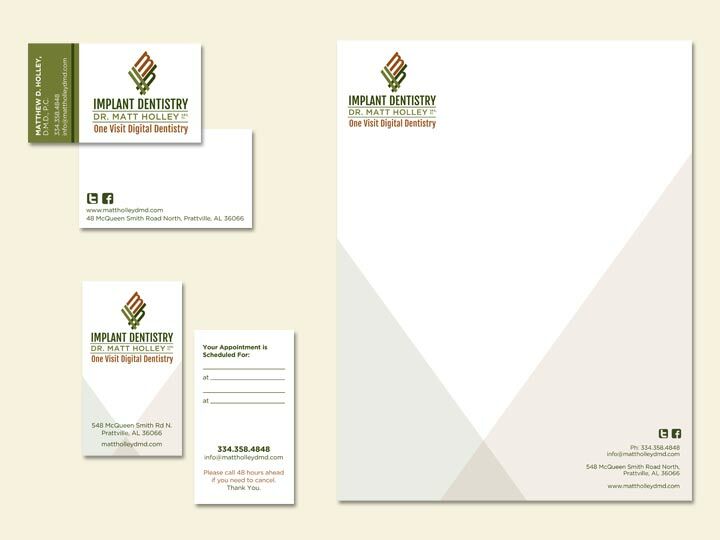 The project included the development of a new logo and identity kit with business card, letterhead, appointment card and envelope as well as the design and development of a new website.